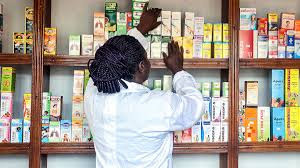 The Federal Government agency responsible for regulation, education and practice of pharmacy in the country, the Pharmacists Council of Nigeria (PCN), has sealed 378 drug outlets in Osun State for alleged non-compliance with its directives. Addressing reporters in Osogbo, the state capital, team leader Anthonia Aruya said the agency inspected 501 premises across the state to assess the level of compliance of operators with standards in the Pharmaceutical sector. The leader said Osun was the 27th state her team had visited. She noted that of the 501 premises the team visited, 20 pharmacies and 358 medicine stores were sealed off. Aruya said nine other premises were given compliance directives for various offences, ranging from improper handling of controlled substances, unhygienic environment and poor documentation, as well as dispensing ethical/prescription drugs without the presence of pharmacists. The leader said her team’s observation revealed that many people sold medicines without following due process, adding that others did not have requisite knowledge or skills to handle medicines in their premises or operated beyond their approved scope.